MAR GEL PLUS is a unique, innovative stain remover specifically formulated to remove rust marks and stains from acid-sensitive materials such as marble, limestone and travertine. MAR GEL PLUS has a particular formulation that allows it to penetrate deep down, even into the most compact lime-based surfaces, such as brushed or polished finishes. Once there, it even removes the rust in the thickness of the material. After treating rust stains on lime-based material using MAR GEL PLUS , the next step is to treat with OXIDANT. MAR GEL PLUS reacts to remove the rust, creating a purple compound that turns darker according to the depth of the rust stain. OXIDANT when applied after using MAR GEL PLUS can remove these residues remaining inside the stone, completing the stain removal process. Once applied over the stain to be removed, the product works alone without needing any further processes, until it completely removes the rust stain. 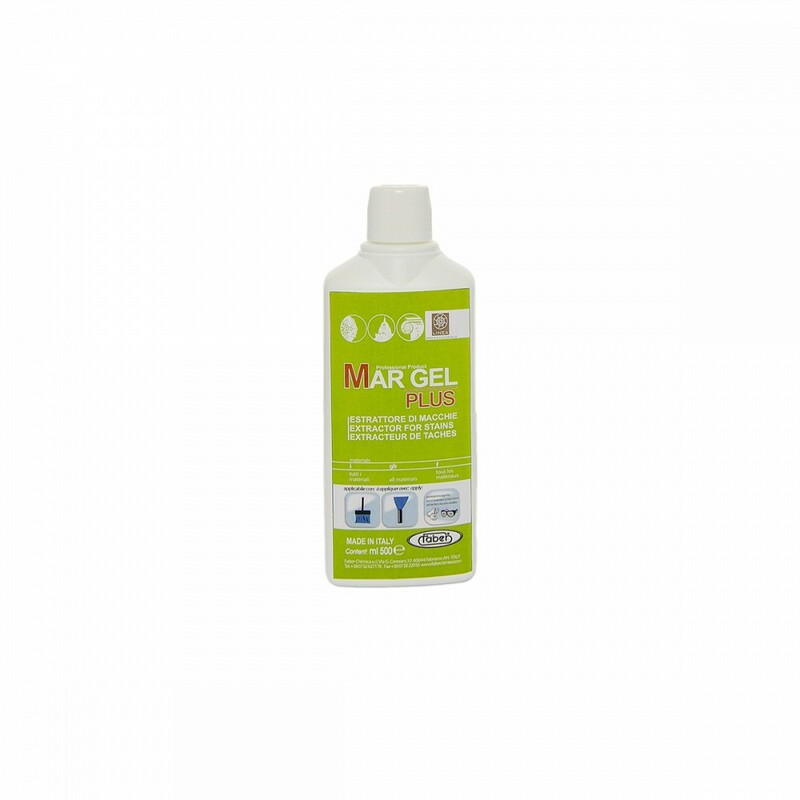 MAR GEL PLUS is easy to apply and its gel formula means it is simple to use, even on vertical surfaces.